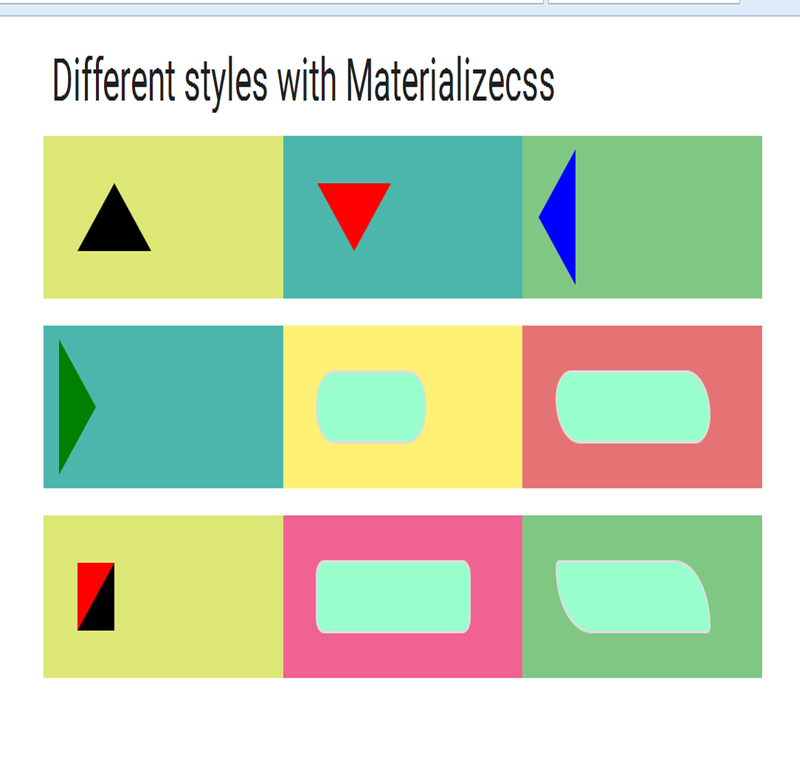 Find out many diffrent styles with Border-radius CSS. I m trying to explain here how can we design with the help of Border-radius . We are into the materializecss Framework so its responsive and it helps you how can we make our pages responsive. Box1: In Box1, There is a triangle and its fully CSS work. We have just transparent right and left border and 50px border of bottom and there is the output. 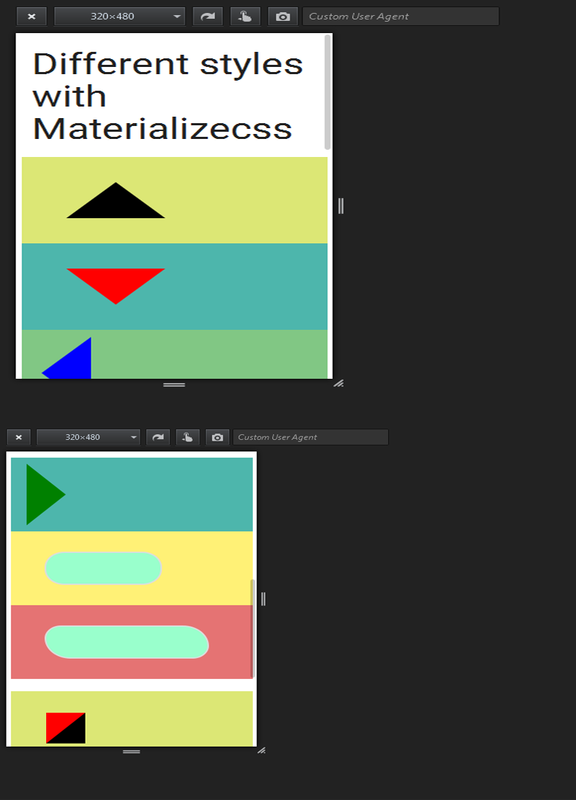 Box2: In Box2, There is a triangle but its in reverse shape and its fully CSS work. We have just transparent right and left border and 50px border from top and there is the output. Box3: In Box3, We have just transparent top and bottom border and 50px border of right and there is the output. Box4: In Box4, We have just transparent top and bottom border and 50px border of left and there is the output. Box5: In Box5, Just give border-radius: 25px; and You will find out your round-corners. Box7: In Box7, Change border style . You will find out code here below. Box8: In Box8, Just give border-radius: 11px 11px; and You will find out your round-corners. Box9: In Box9, Just give border-radius: 5px 50px; and You will find out your round-corners. After reading , Now we have to look up the code. Just copy from here and save as a differentstyle.html and run the code in any browser. You have to learn one thing how we initialize the container and row and column work that is important.